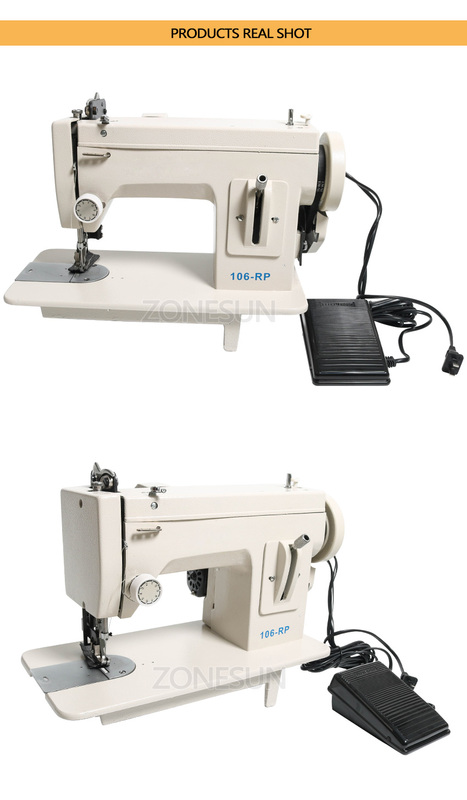 This semi-industrial sewing machine makes a single needle lock stitch and is equipped with ahigh lifting, independent upper and lower feed mechanism. 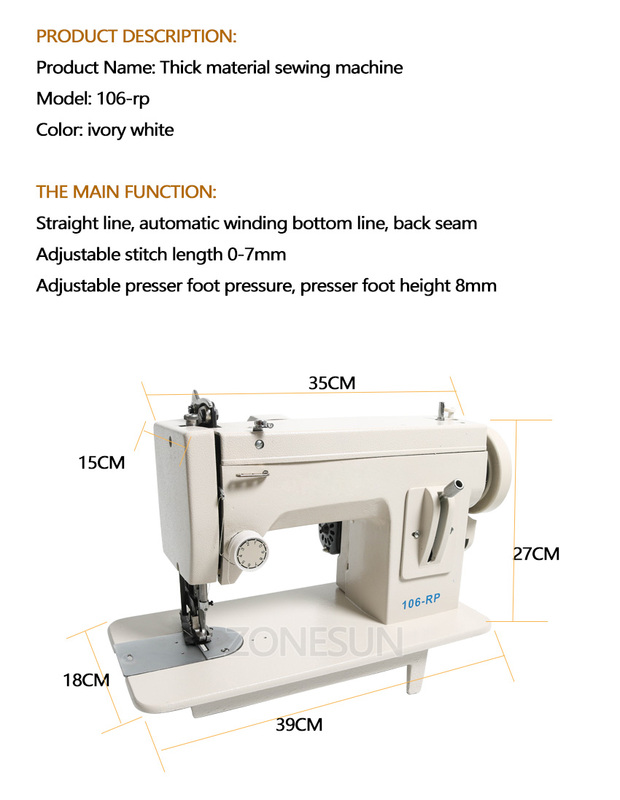 It is intended for stitching medium,heavy, nad extra heavy cloth, canvas, upholstery materials and light leather. 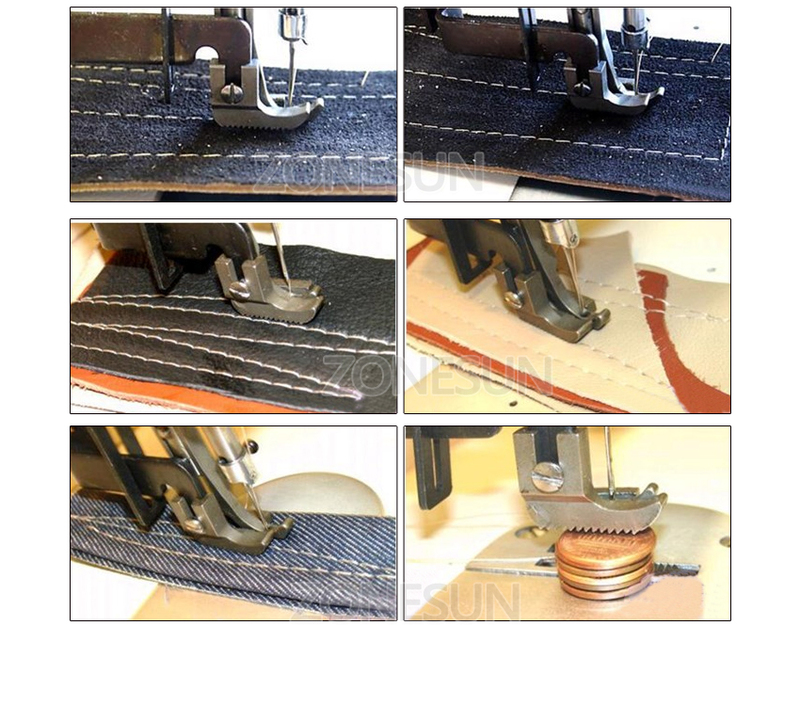 (1) With the needle raised, lay the lower or bobbin thread straight back from the needle hole. 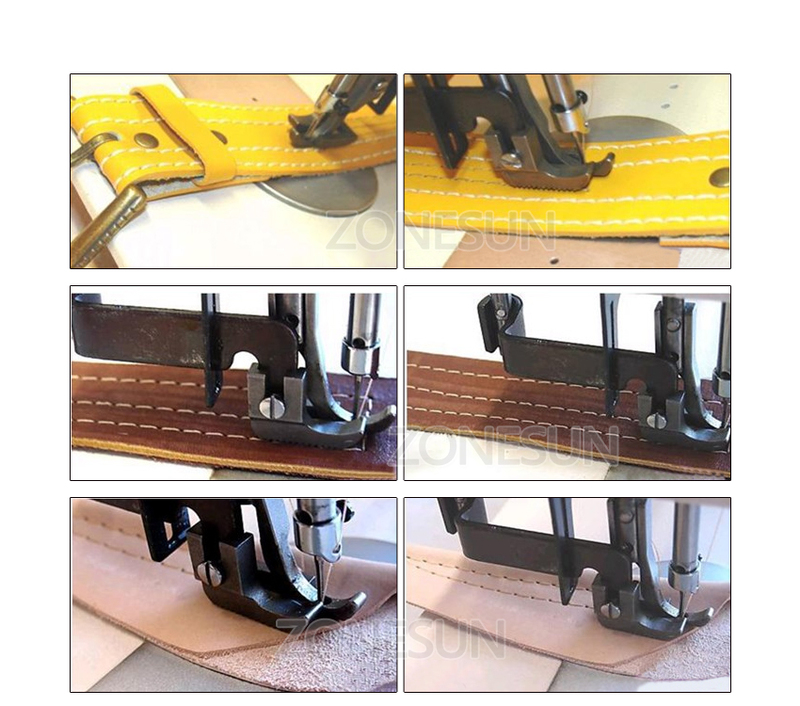 (2) Place the material to be sewn under the presser feet and lower them onto the material. 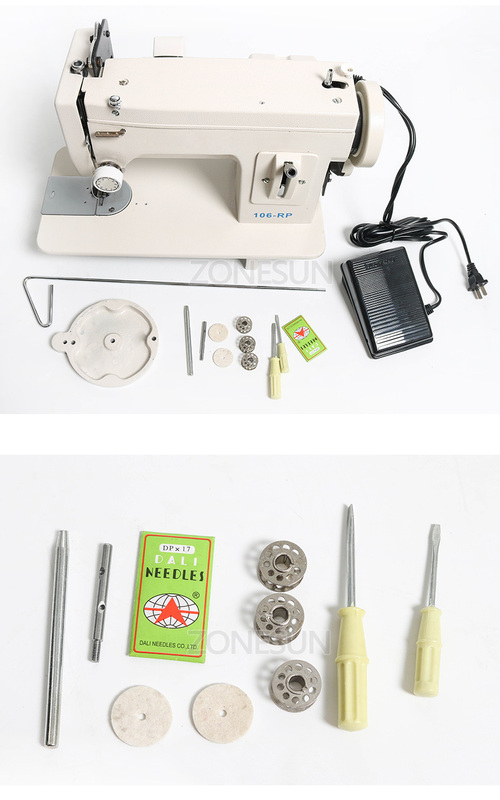 (3)Hold the upper or needle thread (threaded through the eye oft the needle with the fingers of the let hand. Turn the balance wheel toward you with your right hand until the outside pesser foot reaches its most backward position. 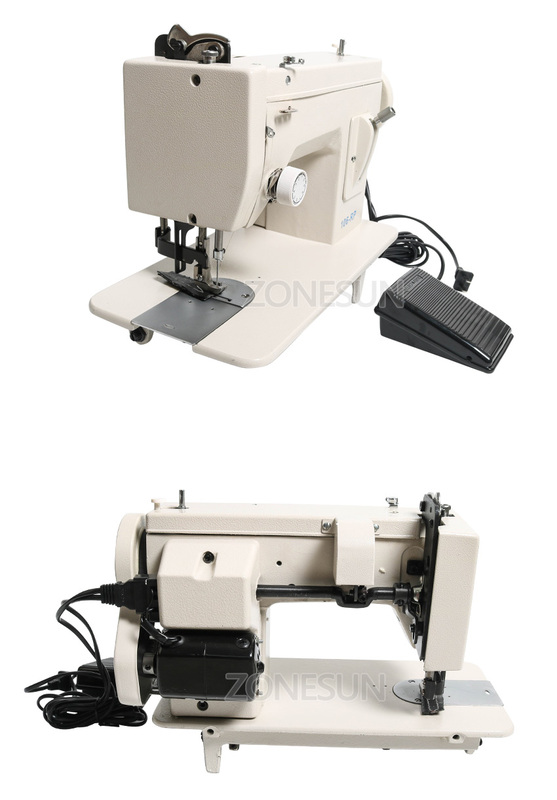 (4) Now operate the knee or foot control to start sewing. 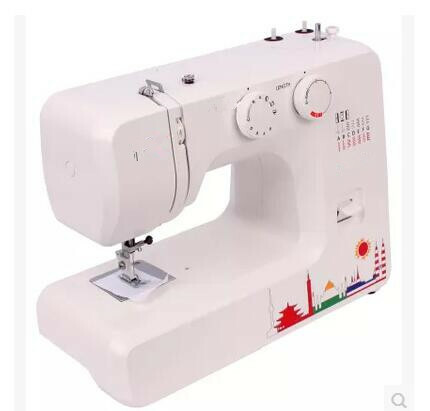 1.The machine may run a lttle slow when it\'s new. However, it will begin to \'free up and run-smoothly with continued use. 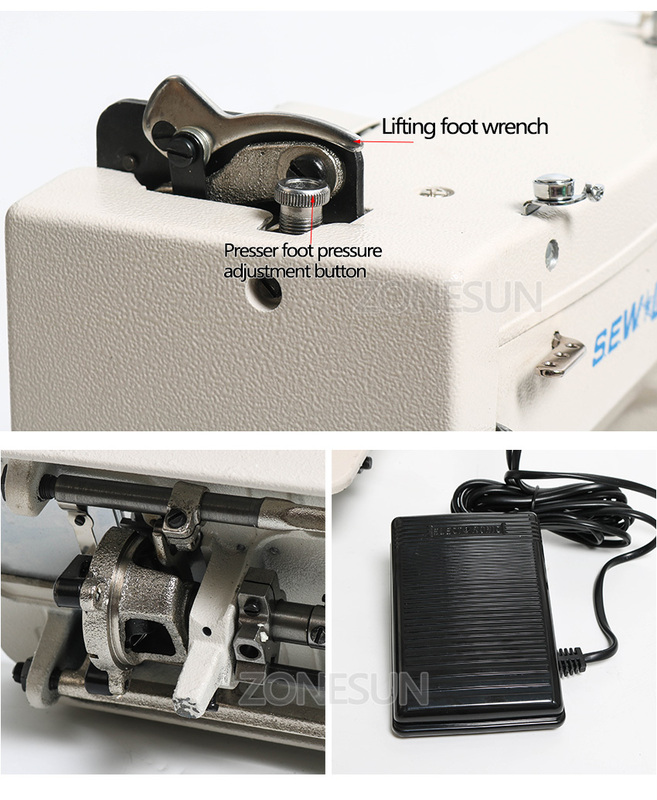 2.During operation, the balance wheel of the machine always turns toward the operator. 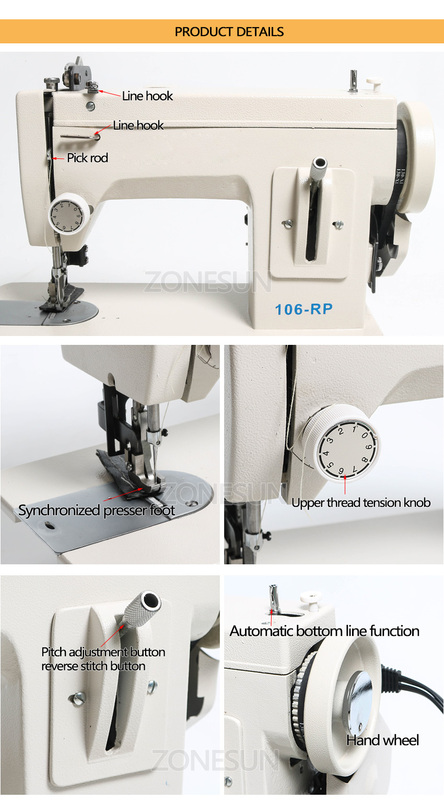 To avoid tangled thread and jamming of the sewing hook, do not turn the balance wheel backward (away from the operator). 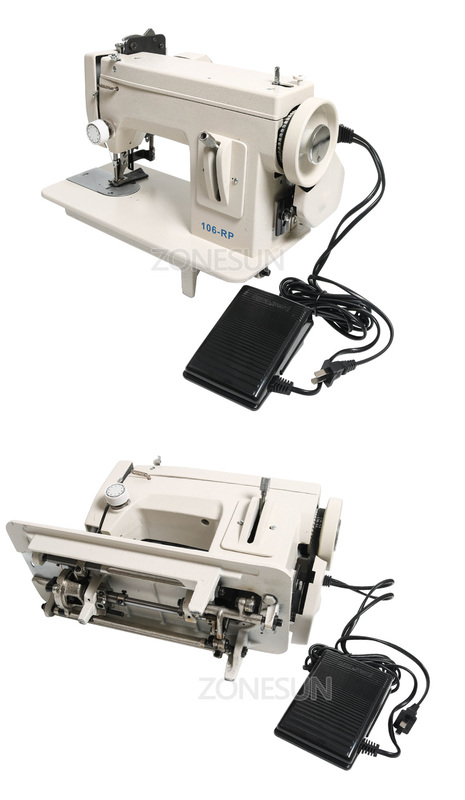 3.Never operate the machine without material under the presser eet. 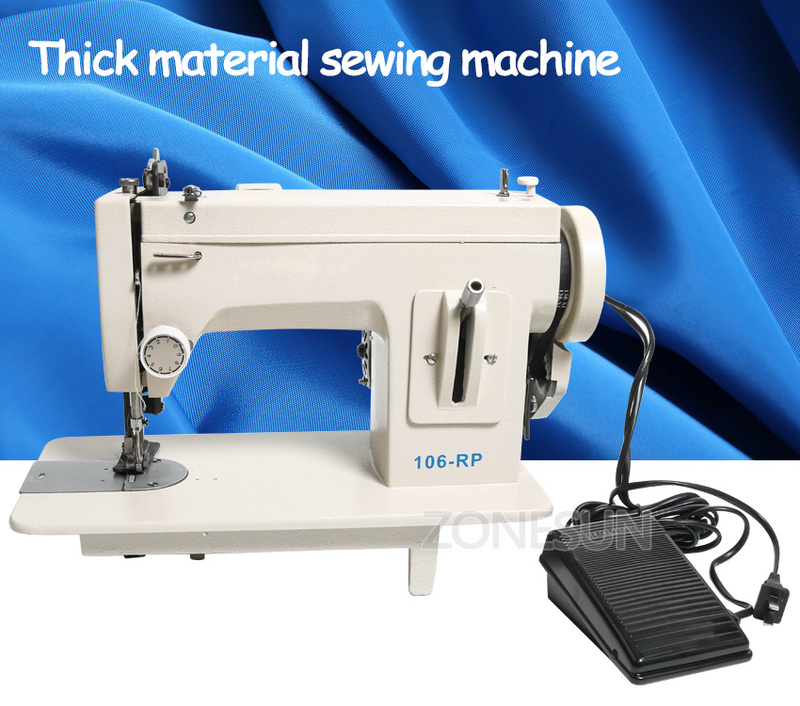 Your machine willl probably be "lock" and cannot be operated until the thread is cleaned out of the hook race.